Outdoor lighting for a building is the light source that is being integrated to building’s outside for some general purpose such as to decorate the building at night and give improve the safety feature of the building to prevent some accident to occur when somebody walk or drive near to the building. There are a lot of reasons why it is a good idea to add suitable and functional outdoor lighting to your home or some buildings. Illumination was the main reason why most people decide to have the outdoor lighting. In fact, even if you are decide for including landscape lighting in your outdoor design, you will find there are benefits you hadn’t even thought of. Beside that, safety and security factor also becoming the consideration of why most people decide to add outdoor lighting to a building. Please keep in mind that criminal is looking for place to burglarize or vandalize that is not going to be easy to be detected such as some dark corner. Obviously a home lit up like a Christmas tree is not going to be the choice of the thief. So, all the building deserve to have a proper outdoor lighting. Research have state that not proper or suitable outdoor light at night will always cause a negative effect human health. This is because it will increasing risks for getting some healthy problem such as obesity, depression, sleep disorders, diabetes, breast cancer and more. Beside that, a low quality or not suitable outdoor lighting can also cause some side effect such as the eye strain problem. Eye strain can cause a lot of health problem such as headaches, irritability, fatigue and an overall feeling of poor health. Moreover, outdoor lighting can impact visual comfort of a person. Glare from bad outdoor lighting is a safety hazard. Glare from poorly shielded outdoor lighting is also harmful to us, because it decreases vision by reducing the range of view for a person. This limits our ability to see potential dangers at night and at finally it will cause aging of eyes to be faster. Choosing the right outdoor and architectural lighting for your home is known as a very complicate and difficult process. It’s just lighting, right, how hard can it be? For somebody that have trying to choose and purchase their outdoor lighting for their home, they will know it is the difficult process. Follow the guideline below, so that you can choose and purchase the most suitable outdoor lighting desired. Step 1: fulfill some function. Generally, outdoor lighting should possess some function: safety and security (to prevent thief), decorative (to decorate building), and inform (act as sign for somebody to find at night). Step 2: Choose the right lighting source. Factor to be consider are lumen, correlated color temperature (CCT), color rendering index (CRI). Step 3: pick your fixture. Here are some common fixtures such as ceiling mount fixtures, wall-mounted fixtures, post-light fixture, landscape-light fixture and so on. The LED lighting is part of a fast-growing trend in nowadays and future. LED lighting is well-known of its low energy consumption, last longer feature and it is more visible than their predecessors such as the fluorescent lamp and incandescent bulb. Beside that, they are also known to require less maintenance. 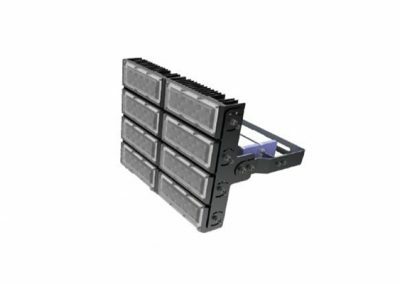 1) New power technologies- In the LED market, we can seen that until now, LED luminaires have typically connected to a ‘driver’ that converts the mains electricity supply into a form the light that can be use. 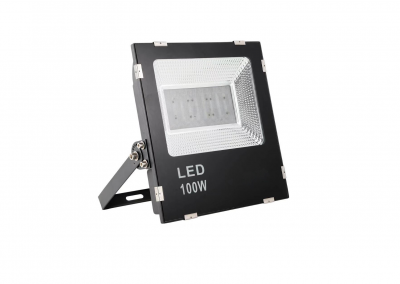 But now, there is good news to the LED manufactures, which is a new power technologies are appearing, the new technologies have bring a range of benefits to us. This is because the drivers are often the first component in a LED lighting system to fail, so, with the new technologies appear, the LED lighting can become more long lasting. 2) The internet of things (IoT)-There are only computer, smart-phone and other smart device can be connected to web. With the internet of things(IoT) technology, it’s no longer just computers and smart-phones that are connected to the web, but also your clothes, your coffee cup, your heart monitor and your LED lights. Lighting is an ideal network for internet-of-things services to be built on – because it’s already there in the ceiling of every building, looking down at us, wired up and ready to go. You only have to add a few sensors or controller so that it can make some data connection with other user. 3) Act as a revolutionary materials- Shuji Nakamura, which is one of the Nobel Prize winner that has innovate the LEDs from the available coldest blue colour to violet colour. Nakamura’s violet LEDs put the gallium nitride on a base of some more gallium nitride rather than sapphire used in the blue LEDs – ‘GaN-on-GaN’ in technical parlance. The violet colour LEDs not only make the LEDs render colours better, they also open up the possibility for longer lives and greater efficiency. The violet LEDs believe will act as a new revolutionary materials and will be used in everything from phones to buildings to water filters. Researchers at the University of Manchester say violet LEDs high conductivity will make for brighter, longer-lasting and more efficient sources, and they hope to have a violet LEDs lamp on the market soon.